The actual sequence of the tasks shown on the schedule depends on the particular project, site conditions, and the availability of subcontractors and material suppliers. 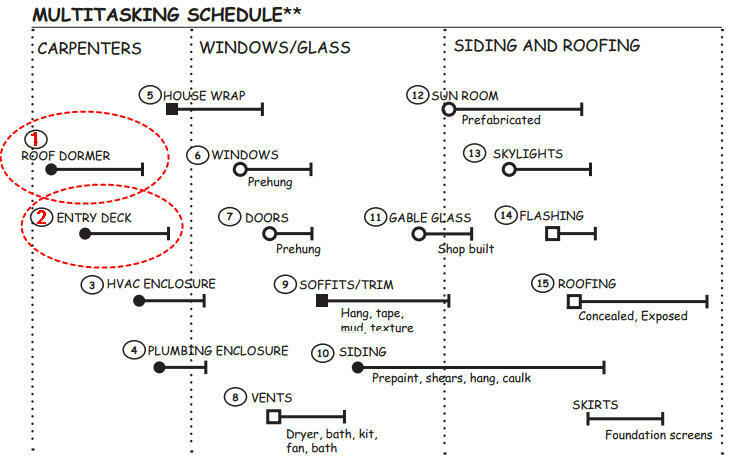 The trick for the builder is to program the tasks with enough lead time to avoid potential delays, while preventing conflicts and problems by simultaneously coordinating labor, materials, and logistical support. In this example, the dormer is the first task because its walls and roof must be installed before the siding, windows, and roofing can be ordered. Weather permitting, the dormer could have been installed at the same time as the main roof framing, but installing it now allows more flexibility in its placement and orientation. 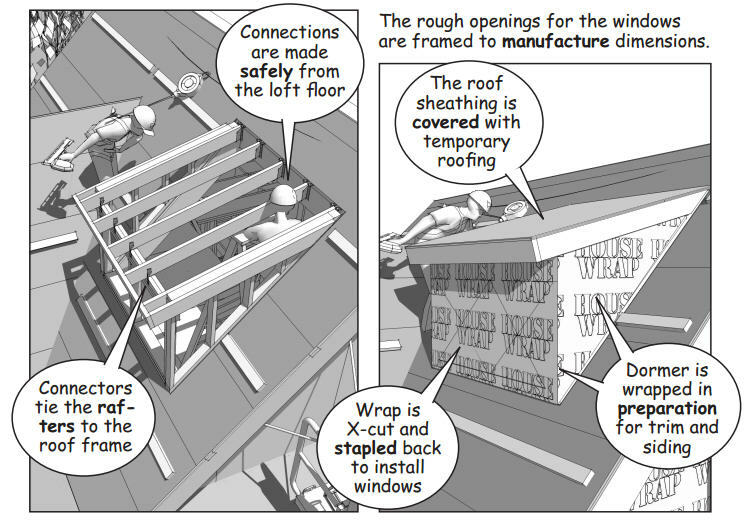 Regardless of the timing, the headers and sills that support the rafters surrounding the opening are sized according to engineered specifications for wind and roof loads. 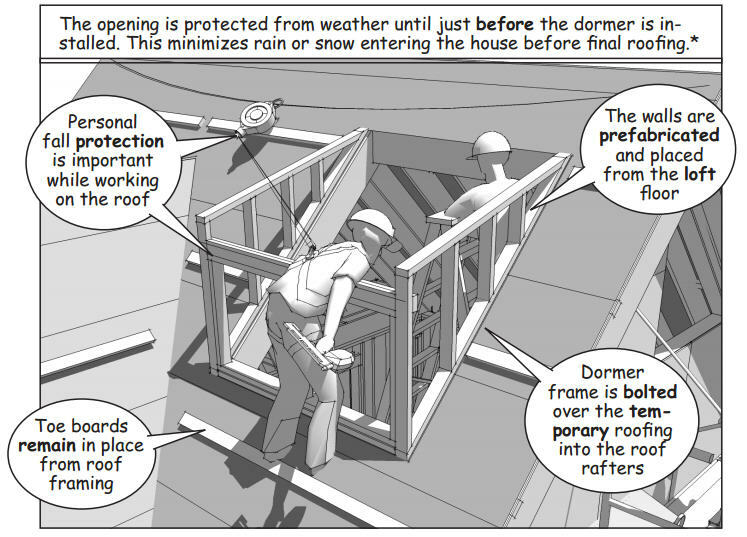 In addition, the dormer walls are prefabricated to minimize the risk for carpenters working on the roof. 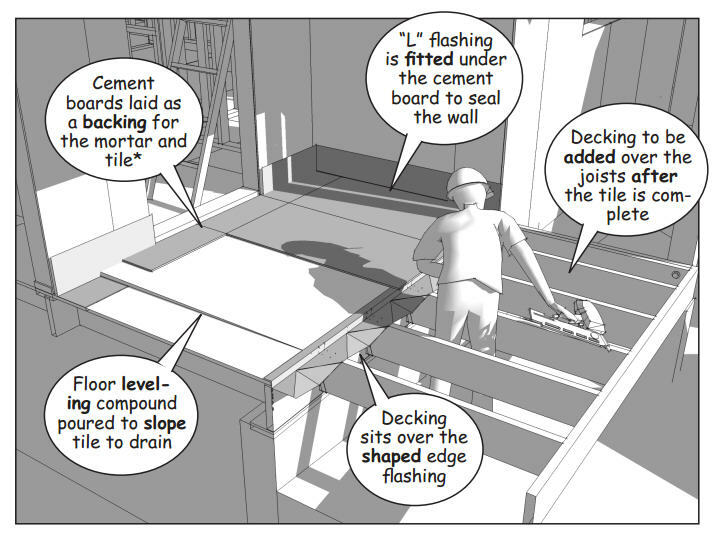 The entry deck is installed as a parallel task because the work is outside the main work area and under cover of the entry roof. To complete the task, pressure treated joists are first hung from a ledger bolted to the reinforced foundation wall and then sized to span to a header supported by the roof columns. 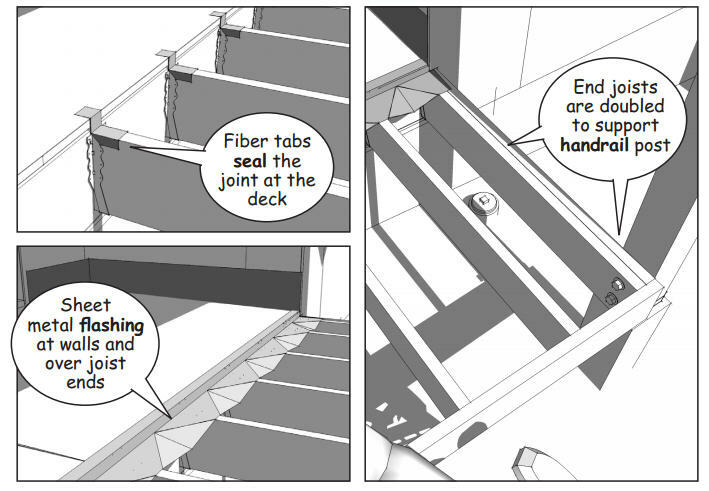 The top of the joists for the deck are dropped below the main floor level to accommodate a change of materials at the entry. The dimension between the two elevations depends on the material selected for the floor coverings. The joint is flashed with fiber and sheetmetal to prevent moisture penetration along this seam, even though weather exposure is limited by the roof and overhangs above. 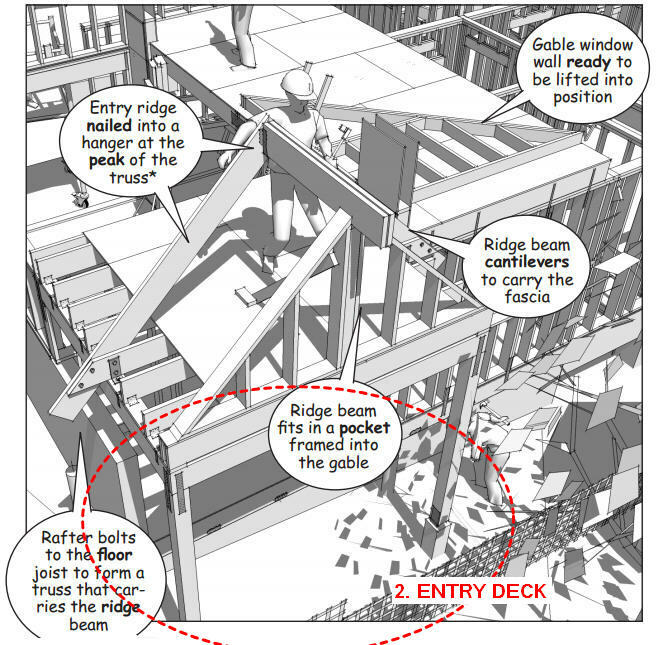 Note that with additional sitework, masonry or concrete steps (or a ramp) could have been installed in lieu of the entry deck framing.